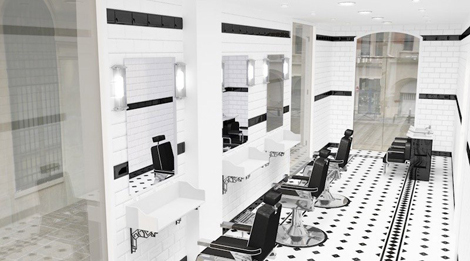 Today is a beautiful 3D scene, that of a barber shop by Christophe Rohou. In some countries, barbers ‘shops are visible in the street thanks to barbers’ signs with characteristic shapes. The barber usually installs his clients on a barber’s chair. The barber deals with the shaving of men who do not wear a beard, but also with the care of the hair, the beard, the mustaches or the rouflaquettes for those who wear them. It uses a razor (which can be mechanical, or, at the most recent times, electric) and a lubricant, for example shaving foam. In the nineteenth century, it could be customary to offer the customer to shave either with thumb or spoon: this last object introduced into the client’s mouth allowed to inflate the cheek and thus facilitate shaving. Available in 3D format: C4D.